The DeMille Award is given annually to an "individual who has made an incredible impact on the world of entertainment." Winfrey will receive the award during the 75th annual Golden Globe Awards ceremony on Jan. 7, 2018. 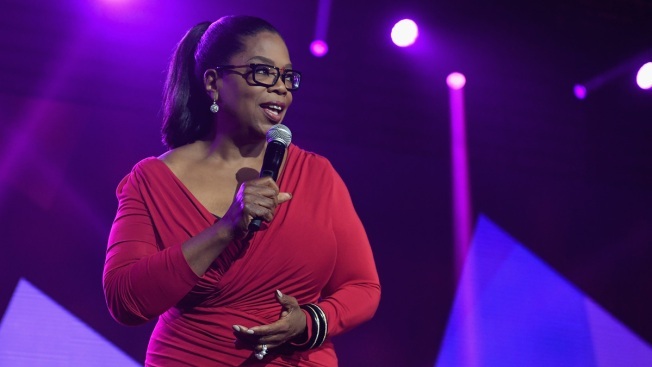 Oprah Winfrey will receive the Cecil B. DeMille Award at January's Golden Globes. Morgan Freeman made the announcement for the Hollywood Foreign Press Association during its broadcast of the "Golden Globe 75th Anniversary Special" Wednesday on NBC. HFPA President Meher Tatna called Winfrey "one of the most respected and admired figures today" and "one of the most influential women of our time" in a statement Wednesday. The DeMille Award is given annually to an "individual who has made an incredible impact on the world of entertainment." Past recipients include Freeman, Meryl Streep, Jodie Foster, Barbra Streisand, Sidney Poitier and Lucille Ball.